It wasn’t long ago that the original iPhone was available with only 4GB of storage. 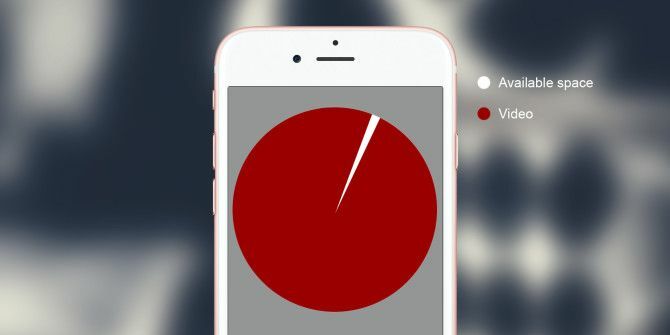 Now every iPhone is available with a minimum of 16GB — but is that really enough? New features such as Live Photos and 4K video What Can You Actually Watch On a 4k TV? What Can You Actually Watch On a 4k TV? 4K TVs were definitely a hot gift this past Christmas—but what can you actually watch on one? Read More can cause you to burn through your available storage faster than ever before. Now that the iPhone 6s is in our hands, we decided to test just how much memory you need to take advantage of these new features. Is it even possible to get by with 16GB? Let’s put it to the test! I know you’re probably reluctant to spend the extra money, be it in the form of a one-time payment, or monthly fee, for a bigger iPhone, and I was too. My first iPhone was an iPhone 3G, and that is when I began my pattern of buying the smallest device available. At that time it was 8GB, and then when the smallest was bumped to 16GB for the iPhone 4S, I went with that. The same goes for the 5s, so when it was time for me to make the upgrade, I had a hard time pulling the trigger on the 64GB model (128GB still seems completely unnecessary for my needs, but we’ll see how that goes as time goes on). Alas, here I sit with a 64GB Space Gray iPhone 6s Plus in my hands and I couldn’t be happier with my choice. Keep in mind that you are losing a few gigabytes of space to store your operating system and the apps that come pre-installed out of the box. Install a few high-end games (many of which are free nowadays) and your phone is already full. The 64GB iPhone 6s Plus I hold in my hand comes with a starting capacity of 55.4GB. My 16GB iPhone 5s running iOS 9 has a base storage amount of 11.4GB. It’s easy to see how quickly that available storage can disappear! 4K video, How Much Space Will You Need? One of the most exciting features on the new iPhone is its ability to record video in glorious 4K, providing roughly four-times the resolution of HD video. Most of us don’t carry around a 4K video camera in our pocket right now, but the technology is slowly edging its way into the mainstream and the iPhone 6s is doing its bit. Of course, there’s a downside: all those pretty pixels require a lot of storage. We decided to put the 6s to a little test — below you’ll find a one minute 4K video that I recorded with an iPhone 6s Plus. If you have a 4K display, enjoy it in its full resolution. Before being uploaded to YouTube, that one minute video clocked in at 361MB. That’s over one third of a gigabyte for a single 60-second video. Three of those and you’ve used up 1/11 of a 16GB device’s total space. At most, you’ll be able to fit about 33 minutes of 4K video on a 16GB iPhone 6s, and that’s if you don’t download a single application or game, or use it to store other pictures and music. If you’re excited by the idea of shooting 4K video, a 16GB phone simply isn’t an option. 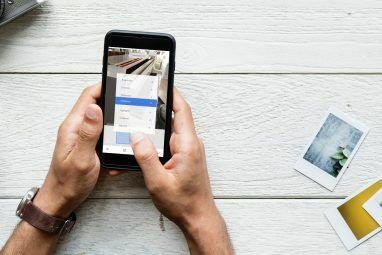 The video looks stupendous, but it takes up too much space to be practical unless you plan to record your videos, sync them to a PC, and delete them from the phone immediately. Do Live Photos Take Up More Space Than Normal Ones? Live Photos are a rather interesting aspect of the iPhone 6s, and one that I’m only just getting accustomed to. We’ve broken down what a Live Photo is when we first talked about the iPhone 6s Here Comes the iPhone 6S: What’s New & Should You Upgrade? Here Comes the iPhone 6S: What’s New & Should You Upgrade? The good news: the iPhone 6s and 6s Plus has just been announced. The bad news: your iPhone is now out of date, and you'll need to sell a kidney for the latest model. Read More , but essentially, the phone is capturing a few seconds before and a few seconds after you take a photo, to create a photo that actually moves when viewed on a device running iOS 9 What's New in iOS 9? What's New in iOS 9? Want to know what features your iPhone will be getting with the release of iOS 9 in September? Curious as to whether your device will be compatible? You're in the right place. Read More , the Apple Watch Apple Watch Sales Might Have Dropped, But It’s Far From a Flop Apple Watch Sales Might Have Dropped, But It’s Far From a Flop We won't know the true number of sales until Apple releases official data in the Fall, but even if recent poor sales figures are correct; the Apple Watch is far from a flop. Read More , and Mac computers running El Capitan What's New In OS X 10.11 "El Capitan"? (And How to Try it Yourself) What's New In OS X 10.11 "El Capitan"? (And How to Try it Yourself) While the changes don't seem that big on the surface, there's a lot going on under the hood that could make this incremental upgrade one of the most significant to date. Read More . It seems neat, though I’ve yet to decide whether it’s something I really need in my life. You can turn Live Photos on or off using the circular button at the top of the viewfinder. Turning the feature off merely captures a boring old still photo. 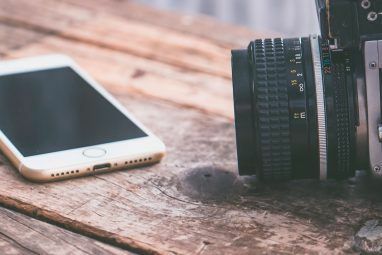 If you take a lot of pictures and you think Live Photos is something that will capture your interest, you should be prepared to carry about half an many photos on your new device than if you weren’t using the feature. So on a 16GB iPhone 6s with about 11.4GB of free space out of the box, you’d be able to fit about 2400 Live Photos — assuming each Live Photo takes up about 4.5MB and you don’t download any other apps or games. If these were regular non-Live pictures, you’d be able to fit about 4400. That’s a tremendous difference. Compared to 64GB, where you can fit about 9600 Live photos and 17600 normal ones, it’s easy to see how quick you can burn through, and how much quicker you could than with the the previous models. Outside of the few specific space-consuming new features available on the iPhone 6s and iPhone 6s Plus, the fact still remains that apps, and more specifically games, are pushing storage space to the limits. Long gone are the days where Apple limited game developers to just a couple hundred MB. Now, it’s not surprising to see games easily exceed 1GB of storage. Do you want to be limited to one or two games on your phone? Probably not. That’s before you’ve accounted for things like podcasts (a single episode can exceed 100MB), songs downloaded for offline listening and other personal files and data. Suddenly, 16GB feels like absolutely nothing. That screen shot above was taken on day one of receiving my 6s Plus. It has exactly one live photo, one large game (and a bunch of normal sized apps), 10-15 podcasts, and the one minute 4K video shown above. I’ve already surpassed the available storage of a 16GB iPhone. Can You At Least Get by On 16GB? If you think that recording video in 4K and taking Live Photos isn’t something that interests you, it’s certainly possible to get by using a 16GB iPhone 6s. However, if you’re truly not interested in either of those features, perhaps you need to think about whether you really want to upgrade to the latest iPhone in the first place. After all, those are two of the most interesting features offered (along with 3D Touch, of course). Just remember: Live Photos will cut your photo storage in half (if you turn it on), and 4K videos will consume storage at rate of about 300MB per minute of video. Couple that with ever-increasing game and app sizes, and getting by with 16GB iPhone is going to be no easy task if you’re really making the most of the device. Did you get an iPhone 6s? What size did you get? Do you think 16GB is just fine, or is 64GB or bust? Should Apple stop offering 16GB? Hit the comments and sound off! Explore more about: iPhone 6s, iPhone 6s Plus, Smartphone Photography, Storage. I love my 6s plus - or I would love it except that I'm going crazy because I am CONSTANTLY battling low storage messages. I spend sooo much time battling storage issues. I don't have a single game on my phone. I had to triage the apps I use (Music, Pinterest, Weight Watchers, Instagram) and delete others that I ALSO USE (iCloud, Snapfish, Podcasts, iBooks, Google Drive, YouTube/Videos, Twitter, Facebook...) because I don't have space. So when I need one of those apps, I re-download it, use it and then delete it until next time. IT IS RIDICULOUS. Apple shouldn't even sell the 16 GB phone. It's not usable and was a huge waste of money that I am stuck with. Very good points. I have a 16gb iPhone, and it fills up remarkably quickly. When I upgrade in a few months, I'll definitely be looking for something with more strorage. Too bad you can't just buy a 16G phone and plug in an SD card. The Iphone record 4k video on "H264" codec.